SeaWorld has lost its role in one of this summer's most anticipated films. John Green, the author of the novel "The Fault in Our Stars," is set to release an adaptation of another bestseller, "Paper Towns," out this June. The film will be slightly different than readers remember, however. A scene in which two main characters break into SeaWorld Orlando has been cut from the film's screenplay. The book was written in 2008, before the documentary "Blackfish" helped expose the park's questionable history with orca whale care. "Since [John] wrote the book, the documentary [Blackfish] came out. 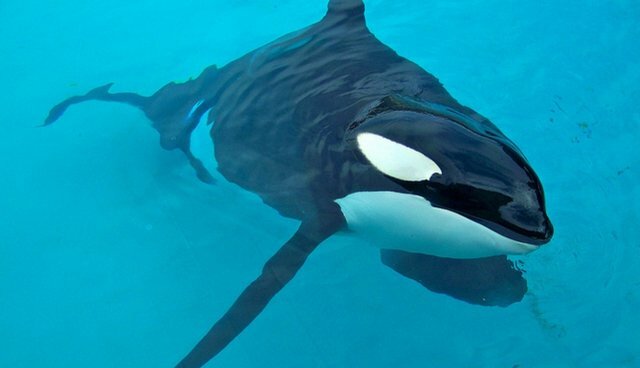 I think it's a little less playful to go to SeaWorld now," the film's producer, Wyck Godfrey, told The Hollywood Reporter. Since the film's release, the company's stock has taken a nosedive, its CEO has stepped down, and a bill to ban keeping orcas in captivity was introduced in California. "Fault In Our Stars" was a box-office giant in 2014, raking in $304.9 million worldwide. "Paper Towns," starring Nat Wolff and Cara Delevingne, is expected to do the same - without SeaWorld. CORRECTION: A previous version of this story stated that the SeaWorld scene is at the end of "Paper Towns."